Online tee times are not availabile for Pinheiros Altos. 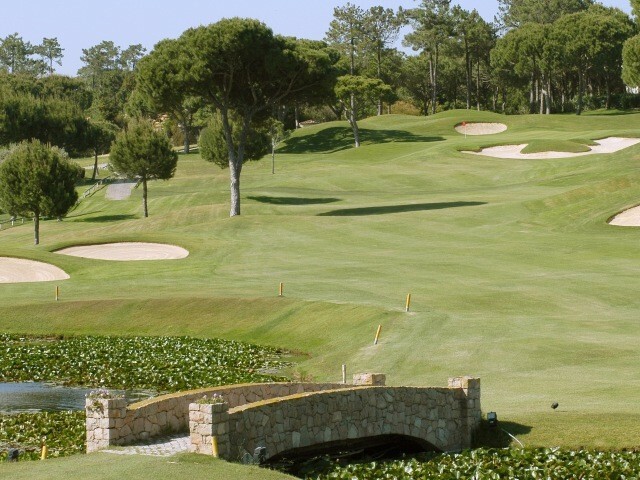 Pinheiros Altos is located within the well-known Quinta do Lago estate this course enjoys a solid reputation. Within the golfing world it is known as providing a mental challenge due to well placed hazards. There are now 27 holes. 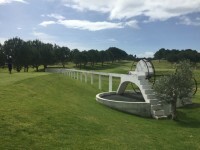 The layout of the Pinheiros Altos Course has been changed some years ago to create three groups of nine holes that are named Oliveiras (Olives), Pinheiros (Pines) and Sobreiros (Corks), respectively. The Club House is where every player starts and finishes his nine hole circuits. More like a 3.5 to 4. Good value for money. Greens were in very good condition, while the fairways were occasionally a bit 'ratty'. Winter rules were posted, which was helpful. An enjoyable round and not too crowded so no waiting. Love the early bird play on this course. Finishing 18 holes in less than 4 hours (walking) without any stress or waiting is a pleasure. The course is in fair to good condition and the greens in good to excellent condition. There are some interesting holes to keep things from getting boring. 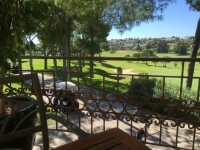 There are 3 different 9 holes, of which we played the pines and olives. The driving range would be the best in the area if they would replace the 'carpet' covering - it tends to be too hard. There is a short game area which is large enough. Very good course. The greens were excellent but the tees were poor which you tend to find with a lot of Bermuda grass courses. The fairways were decent and the layout was varied which was good. It has 3 x 9 hole loops. I played the Pines which was tree lined but quite wide so you could be slightly wide and get away with it. The other I played was the Olives which has the infamous island green par 3. I would play again. Played the pines & corks. Both in good condition, greens were good but a lot of golfers seem to forget to repair pitch marks which is very frustrating. For a low handicapper i did not find the courses tough or long, but a good test. (Handicap 3). The practice area is fantastic. As a 3 ball we got round in 3hrs 35mins. The clubhouse is very nice and the food was super. To post a review, score or a notice on Pinheiros Altos page's or to connect with other Pinheiros Altos golfers, please log in to your account or sign up using Google or Facebook.